So many of us wonder why our lives look the same year after year – why we continue to repeat mistakes in relationships, finances, careers, health, etc. and why we often feel stuck or unmotivated in different aspects of our life. I believe the issue lies within our mindset. Suffering caused by mindset is often due to the fact that we don’t realize we are living with a ‘fixed’ mindset. We truly can’t see it. 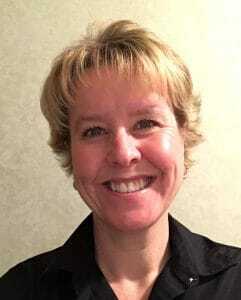 We fail to recognize our fixed mindset because our minds naturally behave in fixed ways. We feel safer and more secure in our traditions than we do when we experience change. It’s human nature. We have fixed opinions, fixed values, fixed ways of communicating with others, fixed ways of remembering our past, fixed ways of viewing painful situations, fixed political views, fixed religious views, fixed ways of parenting, fixed ____________(fill in the blank). Sound familiar? I talk about mindset A LOT with students and colleagues and I myself still have a lot of work to do in this area. At the very least, you need to begin to recognize when you’re not approaching a situation, person or conversation with a growth mindset. Once you start recognizing it, you can start changing it. It can be nearly impossible to make significant life changes without working on your mindset, #inmyhumbleopinion. You may inch forward from time to time, but it’s very difficult to experience any real traction with a fixed mindset. Why? When you are living with a fixed mindset, you are most likely pushing away awesome opportunities, relationships, and ‘out of the box’ perspectives that the universe is trying to send you. When your thought process is getting in the way, you fail to take advantage of new opportunities because you can’t even see them. If you’re interested in making the shift in your mindset, you need to consider implementing a daily practice. The good news is, it doesn’t take a lot of time. Even 5 minutes a day would help tremendously. Just make sure you do it daily in order for real change to occur. Try one or all of these approaches and see how your life begins to change for the better. In a journal, write down at least one negative thought you had during the day. Then, write down at least one (more is better) positive aspect related to your negative thought. While you’re writing the positive aspect, take a deep breath to help your body release any negativity it might be carrying. That sounds a little far-out but trust me it works! In a journal, write down a person or situation you want to adjust your thinking about. Then, for the next 7 days, write down at least one good thing you have either seen or experienced. Or, journal one alternative way of thinking regarding the area of your life you’re trying to improve. This is similar to the ‘Mindset Practice’. However, you’ll spend at least 7 days focusing on the same area. In fact, 30 days would be even better, especially if you’re dealing with an unusually difficult person, situation or stubborn mindset. If you want to change your life, you have to shift your pattern of thinking from negative to positive. I have found that affirmations are one of the best ways to do this. But please remember, it takes time. Depending on how long you have been repeating a negative thought, it could take awhile to reverse the effect of that. So, please be patient with yourself. Last but not least, a daily gratitude practice can work wonders over time. Super easy. Just list 5-10 things each morning or night that you are grateful for. Start appreciating what you already have, and you might just discover your life is pretty darn good just the way it is. Choose one of the approaches above and start it today. Share your progress on Instagram with the hashtag #determinedtolovemondays. P.S. 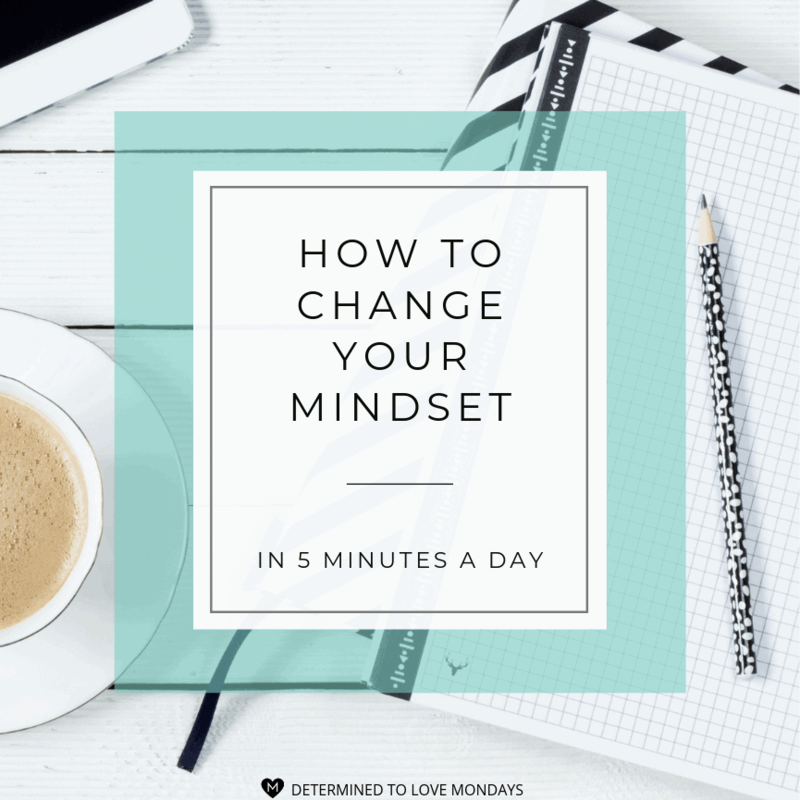 If you need some structure to hold yourself accountable for doing the work on your mindset, I have you covered. 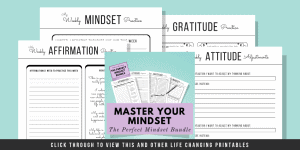 Click through to view the Master Your Mindset printable set and other life changing printables.